Roadrunner has been providing support for events and productions of concerts, festivals, business events, musicals, dance shows and ice shows for 25 years. Roadrunner Concert Service has all the credentials therefore to be your ‘experienced’ partners to ensure your event runs as smooth as clockwork. Technical advice: light, sound,video, stages, tents, etc. An event with different bands appearing on the same stage requires a guiding hand. This guiding hand – the stage manager - prepares a planning – in consultation with all the bands and artists – makes sure that everyone has sufficient time to set up their sets. The stage manager ensures that all the material requested (backline, rolling risers, etc) and crew are available.  He/she checks that the stage is sufficiently equipped to meet the complexity of the festival or tries to guarantee that everything can run smoothly within the limitations of the stage available. And finally he/she keeps the bands in line so that everyone sticks to the agreed timings as well as guaranteeing that all the bands and artists are able to play their gig. The role of a tour manager is one that includes a whole host of responsibilities. On the one hand you have the artist and his/her management that made big investments both financially as well as artistically. It goes without saying that they need a dedicated person to make sure that their interests are guaranteed and maintained. A lot of other people are also involved in a tour: musicians, tour crew, local crew, light and sound suppliers, recording companies, booking agents, security, organisers and technicians at the halls where you end up. You can see that someone with diplomacy is actually an essential element here. The tour manager handles the co-ordination between all these different parties, draws up transport plans, building plans, books hotels, organises the catering, ensures that everyone is there in time and on time, makes the necessary arrangements with the organisers, checks that the technical facilities of the halls/stages meet the norms etc. You can count on Roadrunner Concert Service NV for all these services. The choice of your staff will make or break the organisation of an event or concert. So follow the rule of ‘the right people in the right place’, and apply it on the stage and behind it too. If you are looking for back-up staff, then we have the right solution for you. Roadrunner Concert Service has an extensive list of staff all of whom have extensive experience, flexibility and their own field of specialisation in the broad spectrum of the events world.So, if you are looking for elementary help for setting up and dismantling your concert, event, stand, decor, tent, video, light, sound, fashion show, trade fair… contact our crew planning team who are available 24/7 on: ++32/479.42.60.87 and ask for a non-binding offer. Licensed and experienced forklift truck drivers. They have the experience, they know and motivate their teams, they delegate and relieve you of your different responsibilities. The essential and experienced helping hand for setting up and dismantling, and for ensuring your event runs smoothly. Passionate people who love their work and are at the beck and call of the technical specialists. 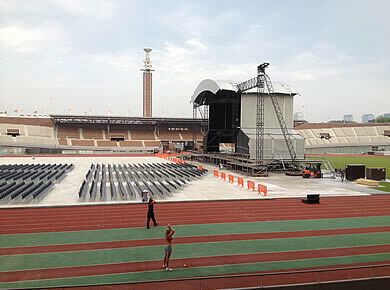 They travel with your company as members of your crew in order to handle the building of your stage and/or instruments. From someone who helps you with washing and ironing clothes to experienced wardrobe dressers or seamstresses. Help in your temporary kitchen installation is indispensable. You need to be able to receive the large and sometimes very sudden arrival of people. Washing up, buffet service, laying out food, etc. Transport of your artists, your crew, providing all the purchases for your catering or production. Always with the appropriate vehicles. No more wet feet or cars stuck in the mud. We can make your event completely accessible for the public, cars, lorries and even cranes. We have been market leader in the Benelux since 1997 with our environmentally friendly recycled PVC tiles (Hexafloor), rubber mats (Remopla) and Terraflor panels. Our excellent partnerships with different European suppliers of other flooring systems means that we are able to provide customised offers at interesting prices for a whole range of different projects. Our mats and tiles are completely reproduced from recycled material. After years of service they are recycled again into new mats and tiles. .
No more wet feet or cars stuck in the mud. We can make your event completely accessible for the public, cars, lorries and even cranes. 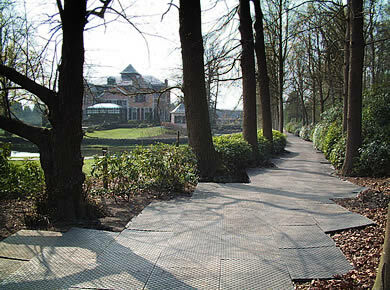 We have been market leader in the Benelux since 1997 with our environmentally friendly recycled PVC tiles (Hexafloor), rubber mats (Remopla) and Terraflor panels. Our mats and tiles are completely reproduced from recycled material. After years of service they are recycled again into new mats and tiles. We have opted for an ecological and efficient system for cleaning the different flooring systems. First and foremost all the floors are delivered with a geotextile underlay. 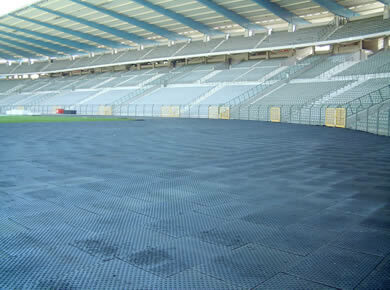 This geotextile underlay is placed between the surface to be protected and the floor covering in order to keep out as much mud as possible. A special washing system specially designed for the cleaning and which is connected up to the rainwater supply ensures that we don’t need to use any extra detergent and do not waste pure drinking water. All of this of course is run on green energy. Most of the cleaning is done by machine. This takes much less time as the tiles and mats are cleaned from the top and the bottom. This saves us personnel costs so that cleaning costs are kept to a minimum. The universal floor covering for surfaces that have to be able to bear heavy wear and tear. 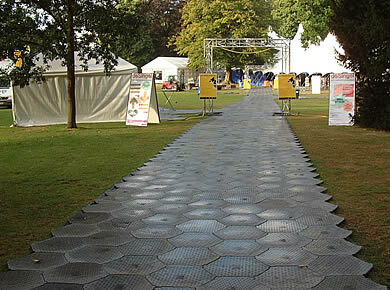 These stylish tiles are the ideal solution for creating access to your event. You can create paths and car parks with them. 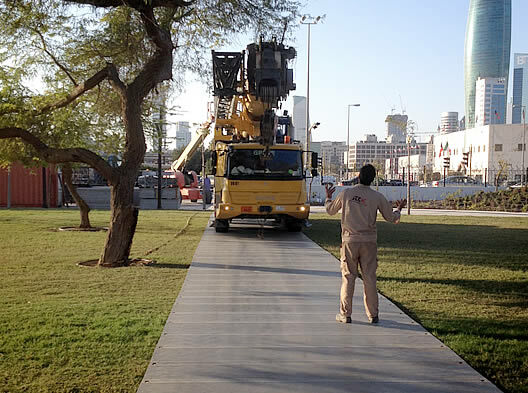 Sites for trade fairs and exhibitions, access roads or work platforms; and forklift truck and cranes for instance can all be made accessible without having to do special work on the surface. Protection of the natural surface. The tiles are also suitable for stabilising uneven surfaces. Remopla mats for heavy wear are the optimal solution for fragile surfaces that need to be protected for short periods of time. This material is ideally suited for creating car parks and for laying access roads at athletics grounds, tennis courts, ice rinks, floors for sports halls and cobblestones. Remopla can also be used as a surface for stages, stands, seating and as basic flooring for pouring earth or sand over, in halls for instance where motocross or equestrian events are being held. 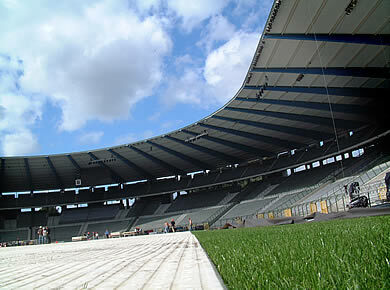 Terraflor is the latest generation flooring system, specially designed to protect the natural grass pitches of sports stadiums or lawns of gardens and parks during concerts or other mass public events. Terraflor is specially designed to leave space between the panels and the grass. This space is light and airy, ideal conditions for grass to remain healthy and green. 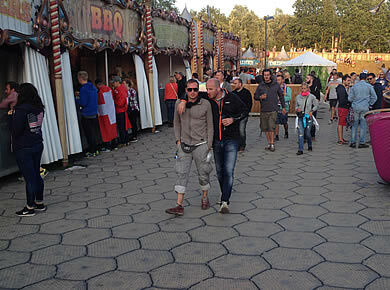 Terraflor also prevents contact with any rubbish and ensures that your ground remains pristine clean after the event. The Arena Panels … the flagship of our flooring systems. By its unique connection system we are able to create a totally flat surface. 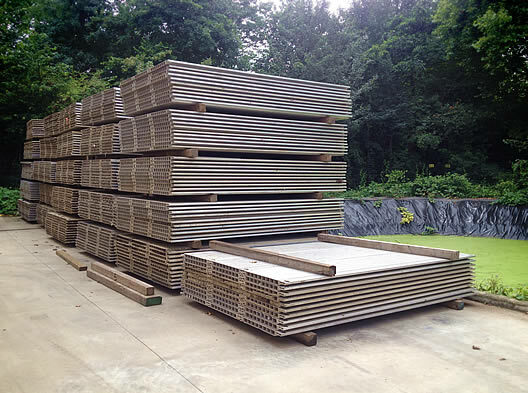 This guarantees an ideal distribution of the weight in order to allow heavy duty machinery and heavy constructions. The level surface makes this system extremely pedestrian friendly. Roadrunner Concert Service has more than twenty years’ experience in working out productions and providing security advice. Positioning of crash barriers, extra emergency exits. Drawing up a safety plan.